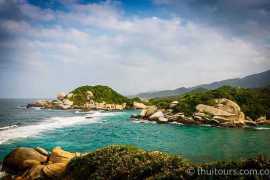 Our selection of tours inside Tayrona National Park. Treks, diving, fishing, local beaches, and places to relax. Cabo San Juan, Bahia Cinto, Playa Cristal, plus a few hidden spots. Tours: In Tayrona National Park There are no products in this category.